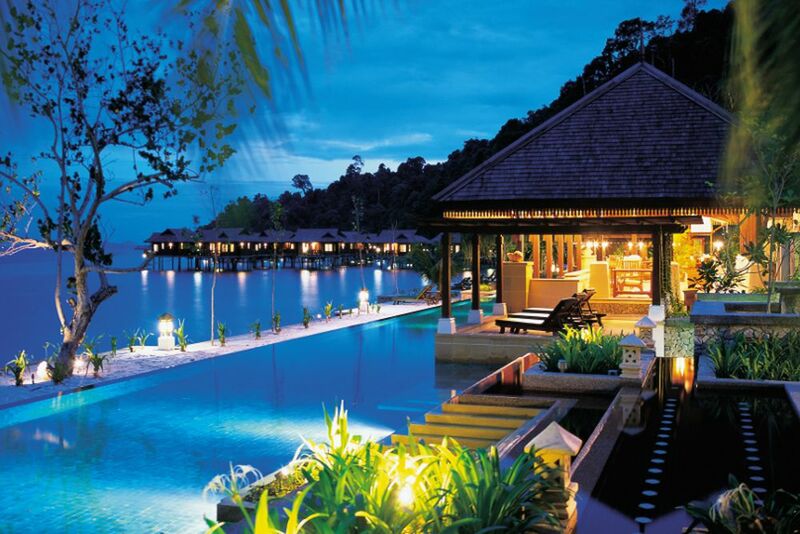 Pangkor Laut Resort - Welcome to Paradise! 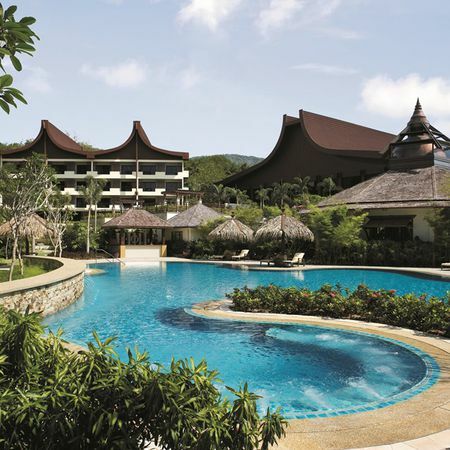 A tropical retreat amid lush green nature. The fabulous Emerald Bay will captivate you. Your place in paradise could be here! 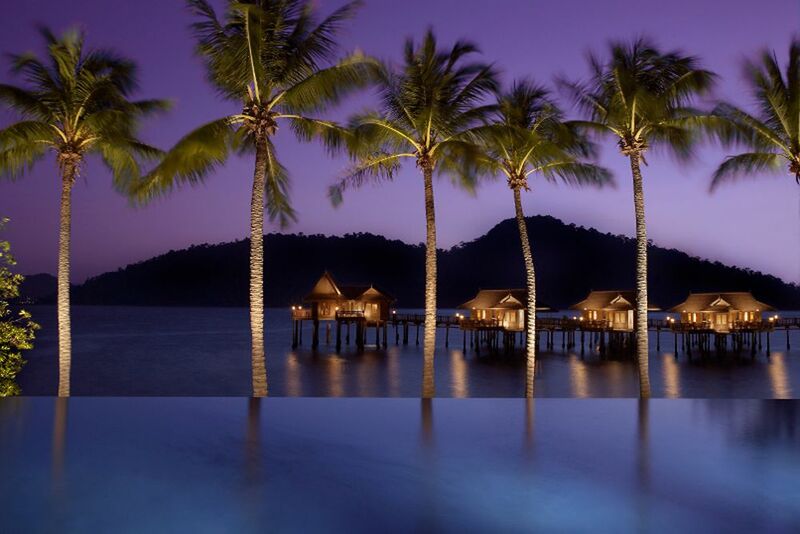 Fantastic view of the Sea Villas. The construction used natural materials. An experience: Uncle Lim's Kitchen. The Hill Villas offer fabulous views of the surrounding area. Even from the inside, the view is amazing. 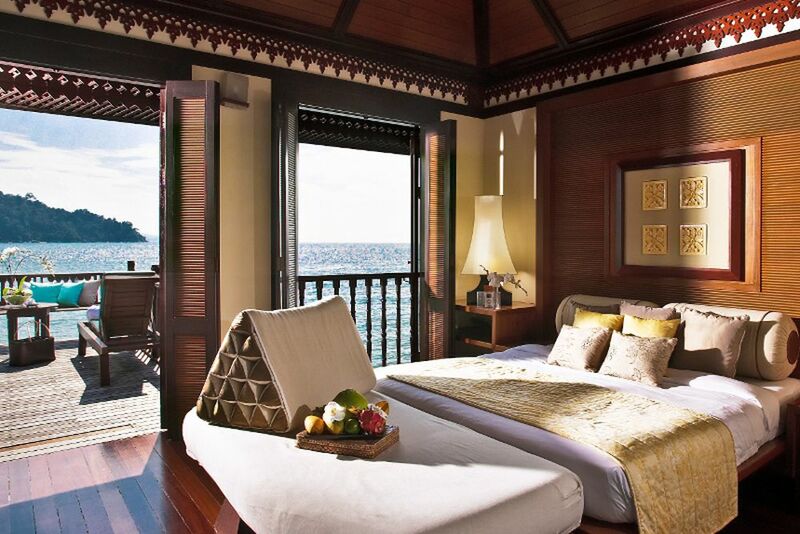 Nestled amidst ancient rainforest, on a private island fringed by white sandy beaches and emerald waters lies Pangkor Laut Resort. The award-winning resort lives in the middle of a paradise waiting to be discovered. 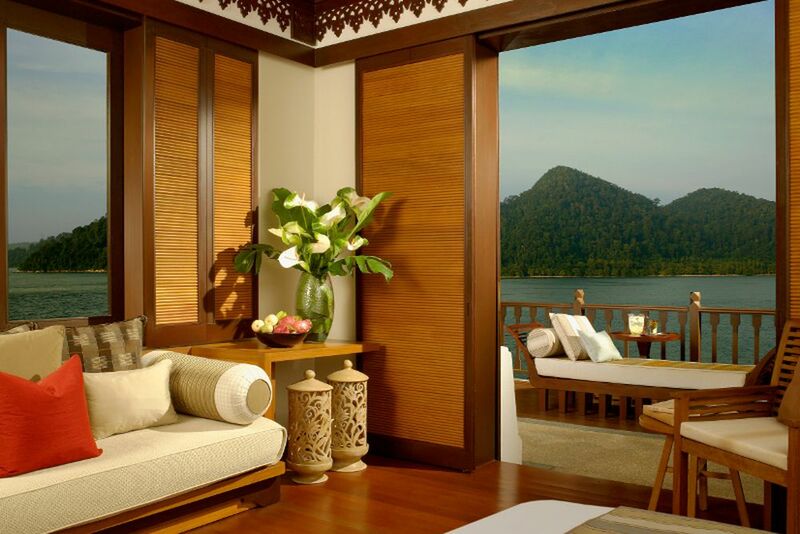 2 complimentary honeymoon nights at each YTL hotel in Malaysia and Bali valid until 18 months after the wedding. Please contact us to make your dream wedding in Malaysia a memorable one. 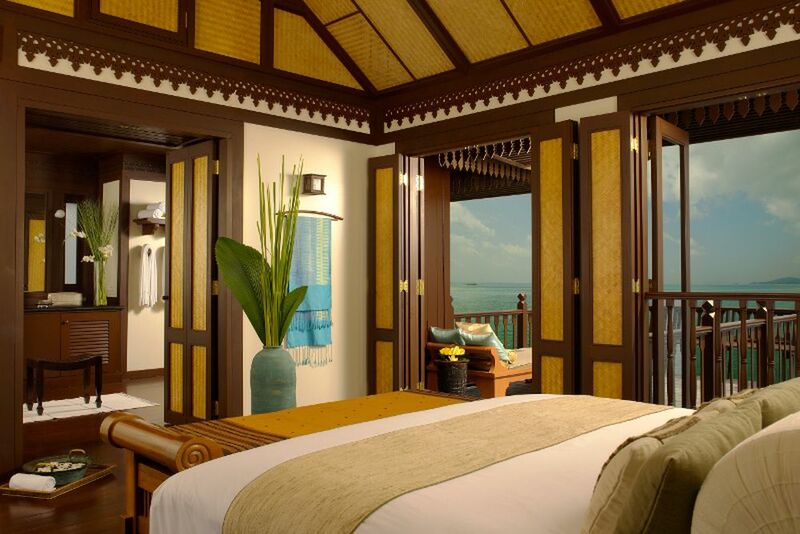 Imagine pristine beaches, emerald waters, tropical jungles, and verdant gardens surrounding you as the warm sun invites you to relax and replenish. 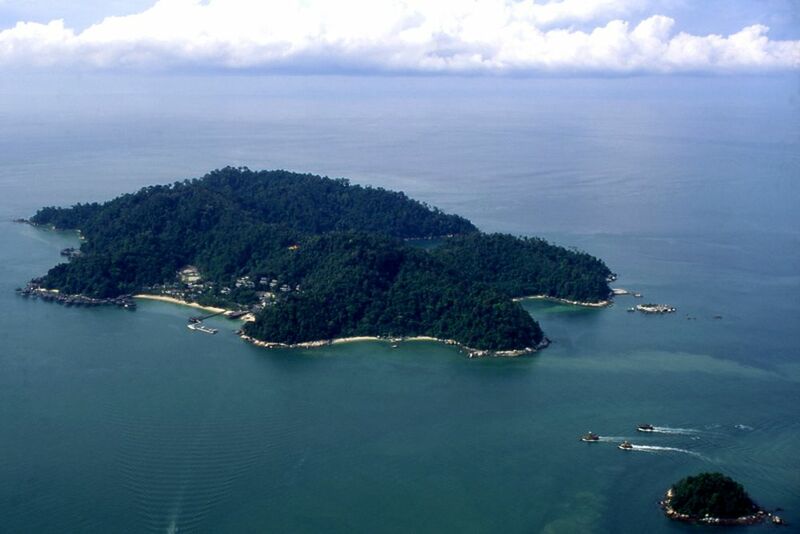 Set along the Straits of Malacca, three miles off the West Coast of Malaysia, discover a piece of paradise 2 million years in the making. The island is home to a variety of wildlife waiting to be discovered—long-tailed macaques, oriental pied hornbills, white-bellied sea eagles, and monitor lizards. 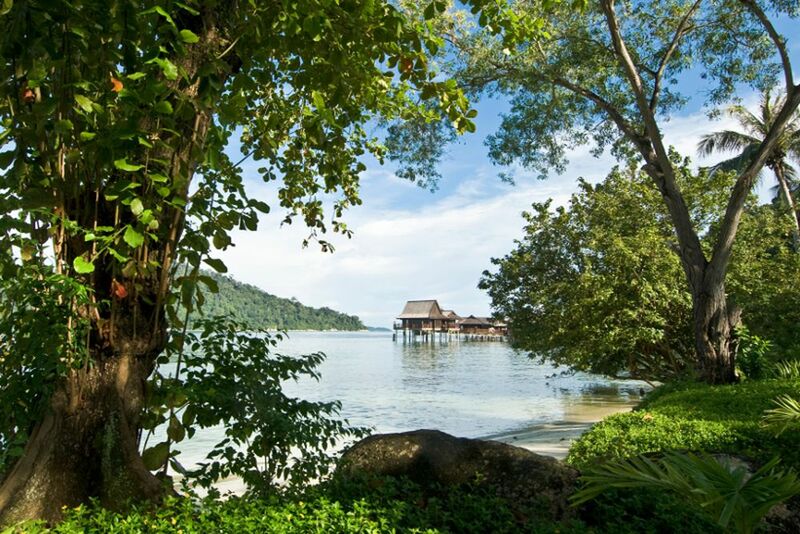 Nature is respected at Pangkor Laut Resort, almost revered and it rewards visitors in ways that simply need to be experienced. Traditions are embraced, colors absorbed, stunning scenery folded into every encounter when you explore the spirit of the island and resort. Uniquely curated signature experiences are created by the magic of locals and the resort for the perfect treasured memories. The natural showpiece of the island is the picturesque Emerald Bay. Snorkel and discover the colorful underwater world, tan beneath the beating sun, or sink your toes in the sand as you take a nice stroll along the shore. 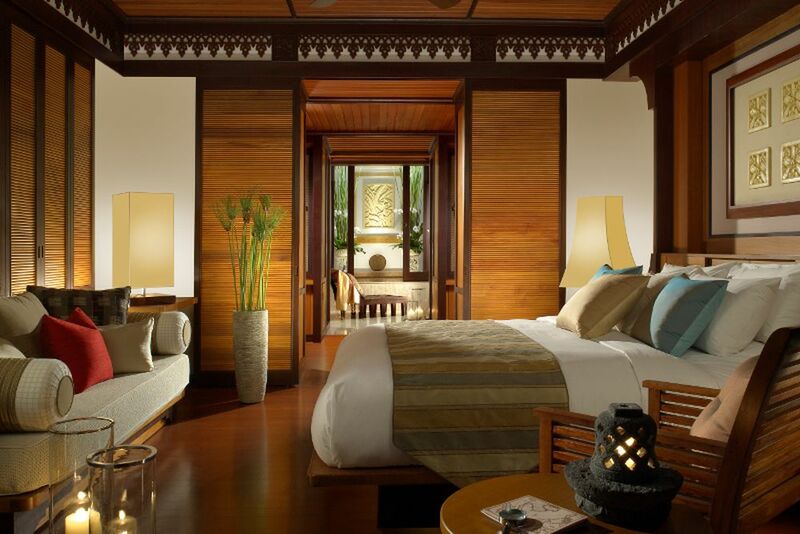 Enjoy relaxed and luxurious days in one of the best hotels in Asia. 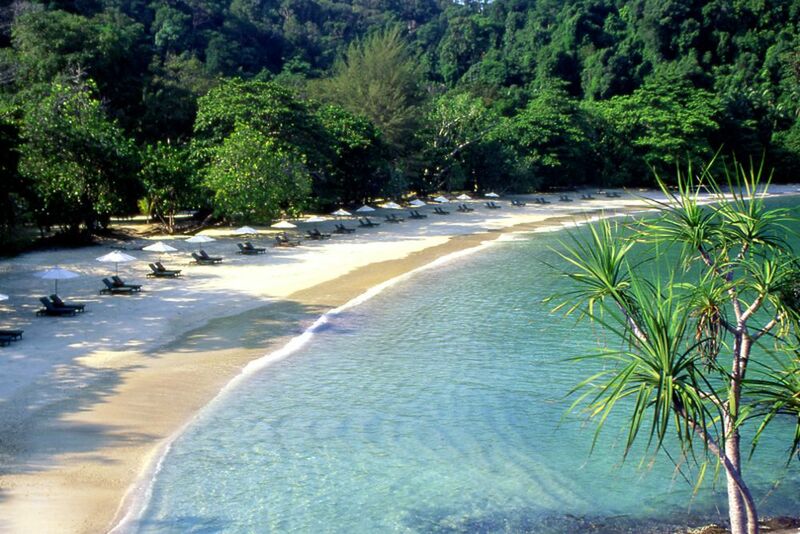 Only a fraction of the island’s 300 acres has been developed to house the peaceful luxury resort of Pangkor Laut. The resort has been declared a paradise by the late Pavarotti and previously voted “Number One in the World” by Condé Nast Traveller. The wooden buildings blend seamlessly into the forest, walls curve around foliage, and roofs op up to allow trees to continue their journey to the sky. 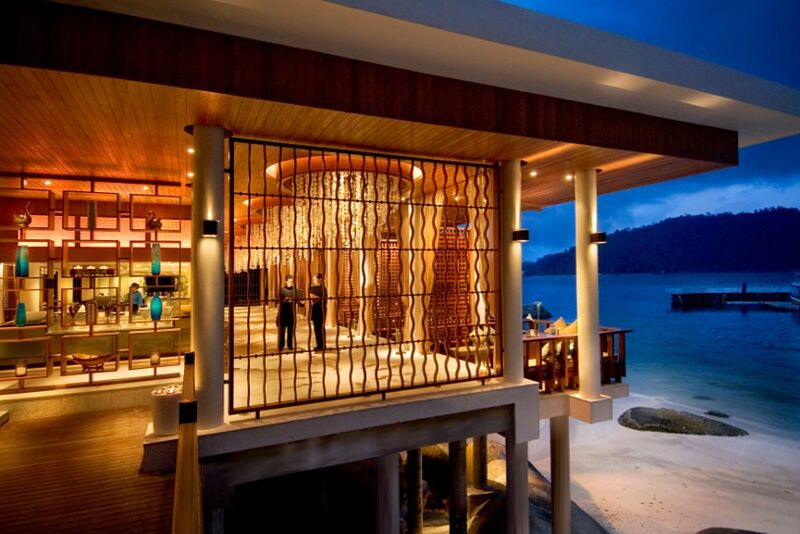 Pangkor Laut Resort celebrates the island’s flavors and aromas amongst the culinary arts and dining experiences. Feast Village doesn’t leave any guest bored with its interactive dining experience and its diverse culinary offerings from the Asia-Pacific region and beyond. Here you can enjoy either a vibrant breakfast or flavorful dinner. 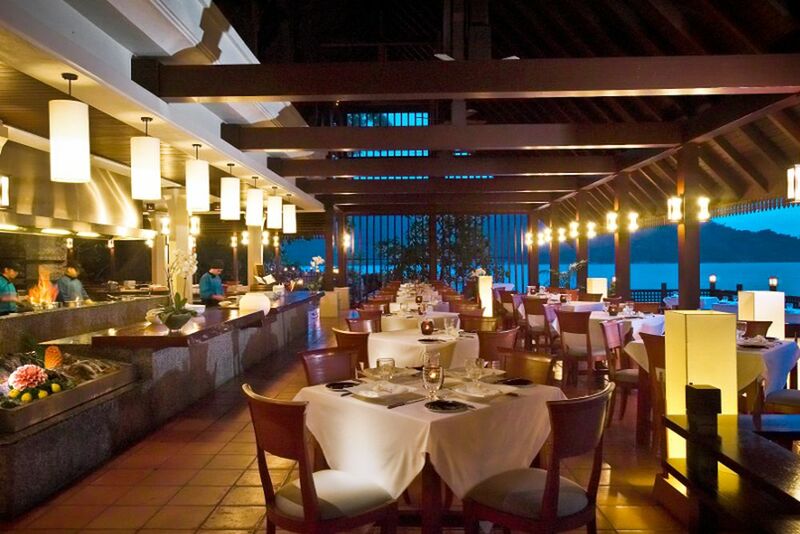 Featuring unique seafood themed dishes, Fisherman’s Cove focuses on sustainable fishing practices and the freshest ingredients. The seaside restaurant welcomes children 16 years and older. Before evening walking through the doors, the delectable aromas of Nyonya and Hockchew Chinese-style dishes invite you to dine at Uncle Lim’s Kitchen. It is a unique experience for those who enjoy exotic flavors of the East. Private dining experiences at The Straits and on the shores of the pristine beaches are also available for unique experiences. 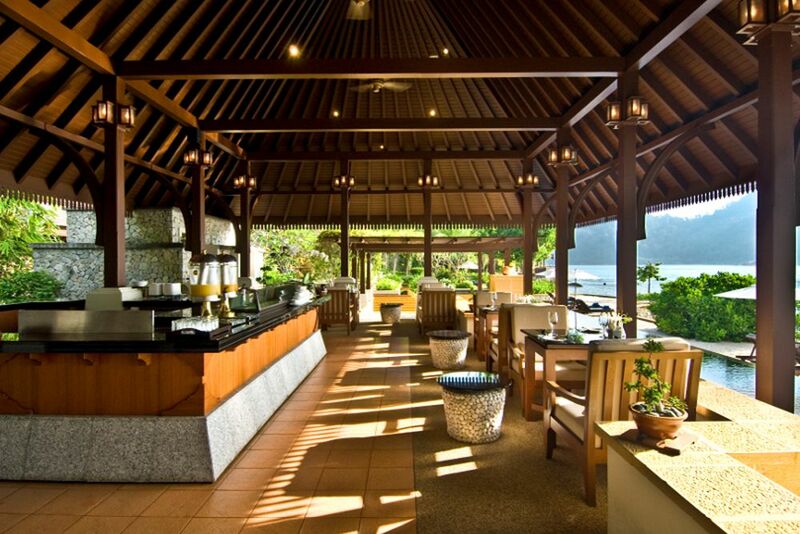 For relaxed settings, quick snacks, and refreshing cocktails and beverages, visit the Royal Bay Beach Club, Chapman’s Bar, or Jamu Bar. 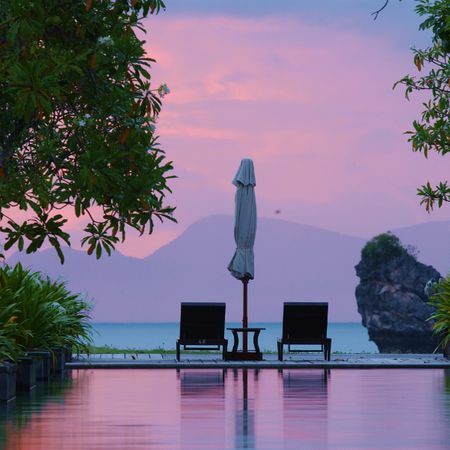 The one-of-a-kind resort nestles comfortably into its jungle island habitat and offers guests beautifully luxurious villas set high amidst the hills, nestled within lush gardens or resting on stilts above the tropical waters. The 140 suites and villas use natural materials and have a warm, contemporary elegance. The rooms’ amenities include air conditioning, flat screen TV, telephone, refrigerator, tea/coffee making facilities, safe and hairdryer. The villas have in-suite bathrooms with an over-sized bathtub and two vanity units and a private outdoor verandah or balcony with sun loungers. Garden Villa (70sqm)—Located amongst lush gardens, these villas feature a terrace and beautiful garden on the ground floor. On the first floor, enjoy fantastic views over the tropical rainforest from the balcony. Hill Villa (70sqm)—Perched on stilts amongst the lush gardens of the hillside, these villas offer magnificent views of the sea and lush tropical gardens. 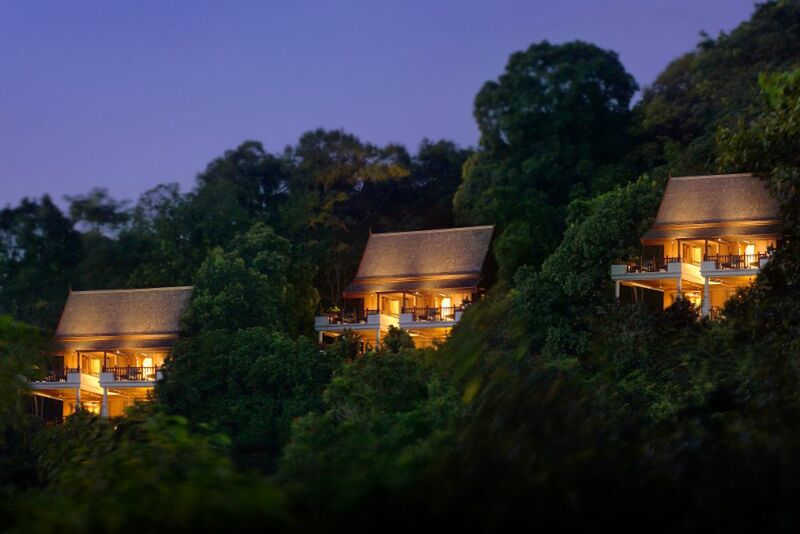 These villas have similar amenities as the Garden Villas, but instead the first floor bathtubs open out to the rainforest. Beach Villa (95sqm)—With the same amenities as the Hillside Villas, these amazing villas are within walking distance of the Royal Bay beach by the resort jetty. The Royal Bay provides stunning views, but it is advised to swim at Emerald Bay because of the natural rocky formation in the seabed. 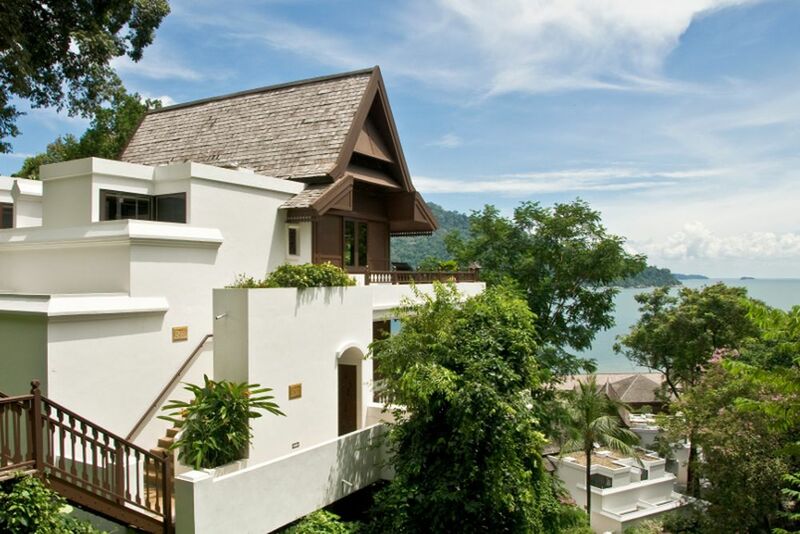 Sea Villa (55sqm)—Boasting elegant seafront views, these villas stand on stilts over the sea and are linked by wooden walkways. Amenities include a spacious bathroom with great views of the sea and an oversized tub, large balcony with sun loungers and a ceiling mounted shower that opens onto the sea. 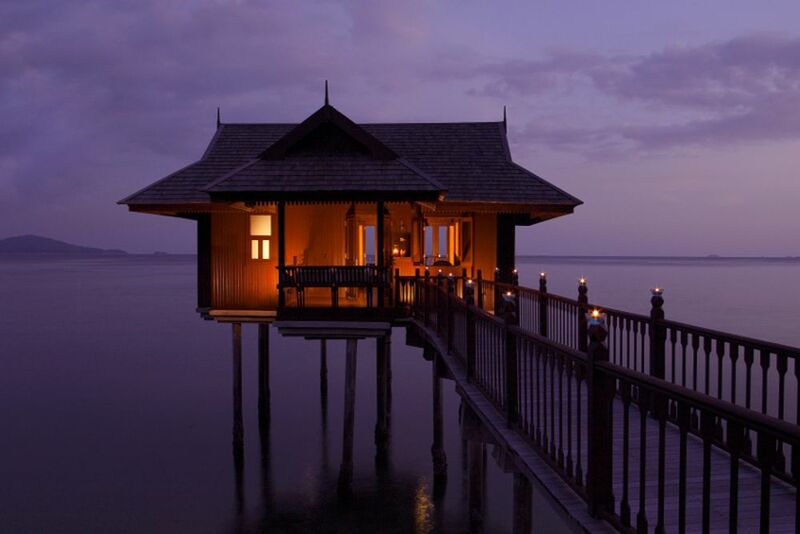 The Sea Villas are the signature feature of the island! Spa Village isn’t just a place—it’s a philosophy. The stunning scenery, paradise inspired ingredients, and a promising experience that honors healing traditions of the region are put together to tailor a one-of-a-kind experience. 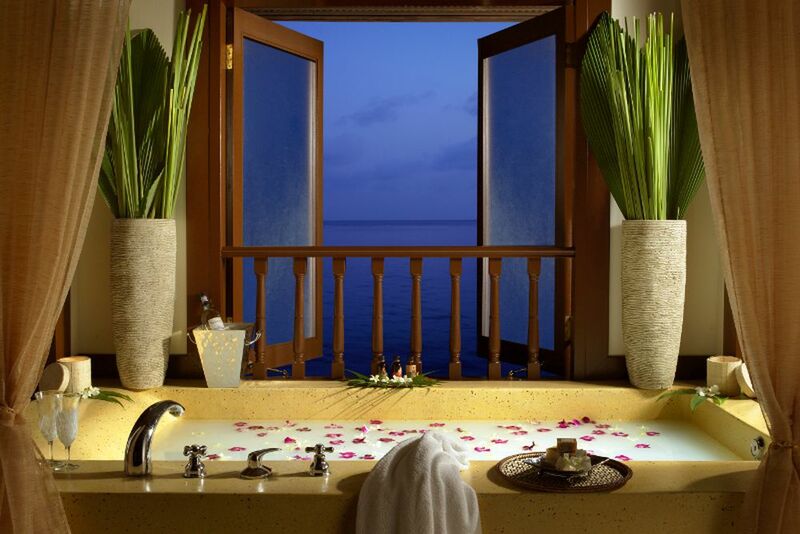 The award-winning spa offers a consistently unique and uplifting opportunity for rejuvenation. Perfectly integrated into the landscape, the swimming pool attracts unlimited views of the sea for a tropical experience. There are also three tennis courts, squash, a jogging track, yoga, kayaking, tai chi, wakeboarding, water skiing and much more. a bottle of sparkling wine The marriage certificate may not be older than 12 months on arrival.